Abstract—Because all colleges within universities are being evaluated for funding and program accreditation primarily in terms of the college’s curriculum, faculty, physical facilities, research, and extension works, it is therefore important that documents and records related to these areas be managed efficiently from the creation, storage, update, communication and dissemination. As individual colleges are managed by their respective deans and chairpersons, it is also important that relevant and accurate reports on gathered information be available to them for informed college-wide decisions and plans. This study aimed to design and develop a cloud-based customizable system that provides detailed and summarized information on these critical areas to guide college administrators in planning and decision-making. It is accessible anywhere anytime as data is stored remotely and made available to users over the internet. Object-oriented method was used in the design and development of the computerized system following an incremental development process. In developing and testing the software, an evolutionary or operational prototype was created. It is tested to the College of Computers and Information Science (CCIS) of the Polytechnic University of the Philippines (PUP). To evaluate the developed system, the study used questionnaire-checklist accomplished by the system users and information technology (IT) experts. The system was evaluated in terms of functionality, user-friendliness, usability, security, performance and robustness. Results gathered showed that evaluators rated the software very satisfactory in terms of functionality, user-friendliness, usability, performance, and security; and good in terms of robustness. This implies that other colleges may adopt this system for more efficient information management and more effective management decisions. Index Terms—Cloud-based system, college management information system, document management system, management information system. M. M. Tan is with the Polytechnic University of the Philippines, Manila Philippines (e-mail: mjmtan@gmail.com). A. Crisostomo, B. Villaflor, and J. Faller are the College of Computers and Information Science of the Polytechnic University of the Philippines, Philippines (e-mail: allan.crisostomo@pup.edu.ph, bill.villaflor@ymail.com, ajcastelfaller@gmail.com). 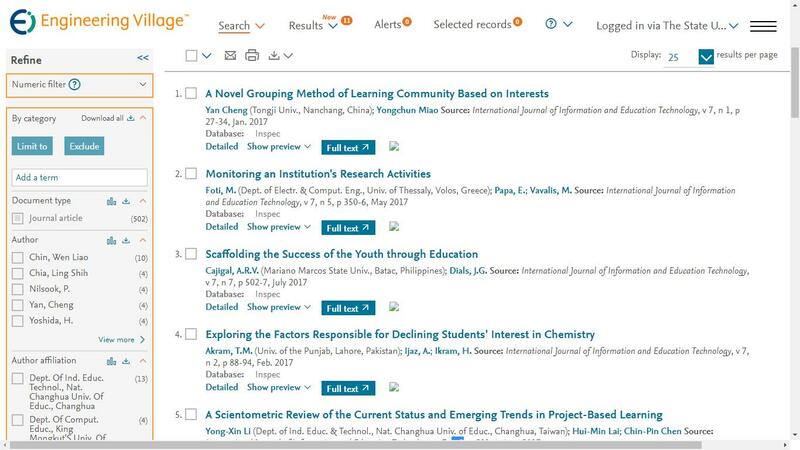 Cite: Mary Jane Magno-Tan, Allan V. Crisostomo, Bill Villaflor, and James C. Faller, "Cloud-Based College Management Information System for Universities," International Journal of Information and Education Technology vol. 4, no. 6, pp. 508-512, 2014.